Those novelists. They sure know how to get you. Pick up that book at the bookstore and begin to read at your peril. Here are a few of my favorite openers for your consideration. Anyone like to add one or two of their own? This opening statement, connected by commas, is truly a paragraph (“the spring of hope, the winter of despair … etc.”) that ends with the notion that the far-off French Revolution was very like Dickens’s own time. Or ours. A Tale of Two Cities reverbs across the centuries. Another opening sentence that is actually a paragraph on its own. (… “and what is the use of a book,” thought Alice, “without pictures or conversations?”). But aren’t we readers, of whatever age, caught in our response between “so what?” and “what’s next?” And truth to tell, we know this seemingly idle sentence is headed to somewhere spectacular. After all, isn’t the book titled Alice in Wonderland? All right. Two sentences. Catch-22, one of the great anti-war novels begins with love. Hey, maybe it’s gay love. Or is it spiritual love? And what’s love doing in a novel about war? Wait a minute! It’s A Christmas Carol. Where’s the egg nog? (Later for that.) What we get in those six short words: it’s going to be a ghost story, and whatever ghosts there are, that’s only the beginning. A few years ago the Morgan Library in New York City had a Charles Dickens exhibition that included the first handwritten pages of his original first draft for this iconic work. There were cross-outs and emendations sprinkled across the pages. But the first sentence, colon and all, was pristine. The words had flown from that nimble brain straight onto the page, the opening fully formed. Never to be changed. One weeps (to paraphrase a famous Biblical phrase). I must pause a moment for that colon. 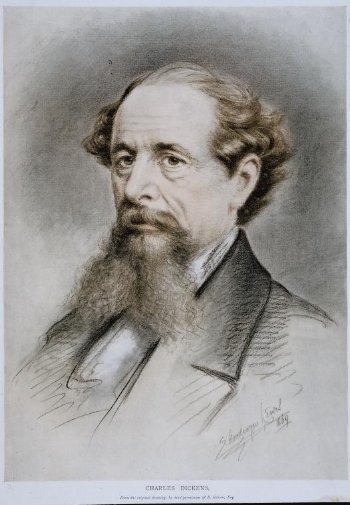 We know Dickens wrote many of his works to be performed. So here’s a true indication of what he meant to happen. Even without reading aloud, one’s eye must take a pause at that colon, a short breath, a little aspiration. And as we do that, we know that “dead” is only the beginning. There is more. And because we know we are in the hands of a master storyteller, we are happy to sit rapt, faces turned toward the words, waiting for the next, and the next. Tell me more, oh please oh please, tell me more. In The Go-Between, L. P. Hartley sets the stage for the child’s misunderstanding of adult behavior. Of course the past is more than just some distant realm, but for the purposes of this novel (and almost-terrific movie adaptation by Harold Pinter with Julie Christie and Alan Bates), those words will do. And now let’s read the book, or, in the event our time is even more limited, watch the best ever mini-series adaptation with Jennifer Ehle and Colin Firth. Pride & Prejudice runs to the heart of both class prejudice and our even-today emotional struggle to get past preconceived notions of “the other.” Thank you, Jane Austin.